One stolen kiss. Two enemy clans. A Yuletide wedding to warm the heart. Adelaide burns with embarrassment to find herself at the Yule feast of her former intended. After he married another, she was set aside, the discarded fiancée. To make matters worse, she is caught under the mistletoe—alone. 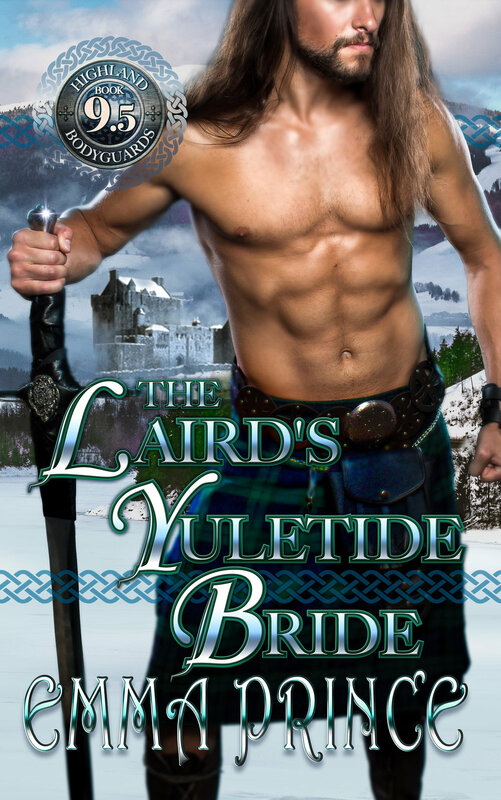 Fillan MacVale, Laird of an enemy clan, comes to her rescue, offering a kiss to soothe her pride. But when her father catches them, Adelaide and Fillan are forced into a swift marriage. Now Adelaide fears she is the unwanted bride yet again. Fillan is determined to atone for his father’s sins and forge a new peace with his neighbors. But after a fateful kiss that leads to a hasty marriage alliance, Fillan is convinced he’s saddling Adelaide with a life of hardship and humiliation. Born with a clubfoot, Fillan doesn’t believe himself worthy of love—or the bonny daughter of his clan’s enemy. Can Yuletide heal their wounded hearts and bring their clans together?